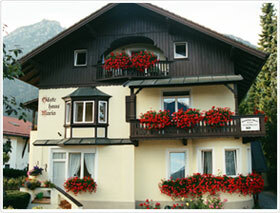 Garmisch, the "Olympic village" is located at the foot of the Zugspitze. It’s for recreation as well as for active culture-loving people and a delightful goal. The diversity of natural beauty and several sporting and recreational opportunities have Garmisch-Partenkirchen to become what it is today: the most visited tourist destination and the number 1 of the winter sports areas in the German Alps. In our house below the "Kramer" you will find a little oasis for relaxation. In the village of Garmisch; our family-run guest house in absolute quiet location, just a short walk away from the town center and trail network.